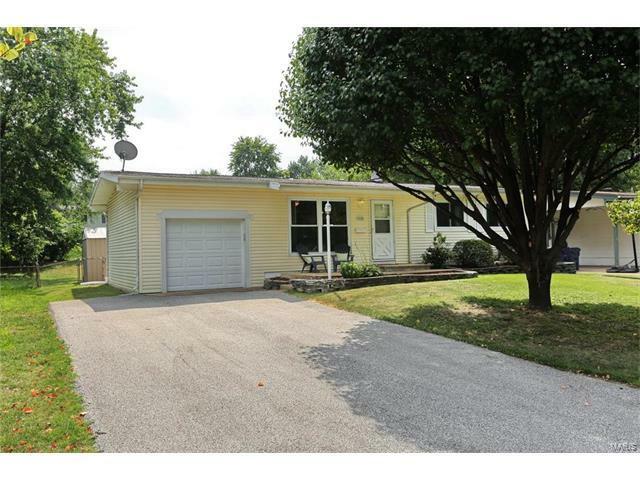 Well maintained ranch home features formal living room, eat in kitchen, family room with an abundance of windows, 3 bedrooms and a full bath complete the main floor. Finished lower level has a wood burning fireplace, large rec room and additional room for office. Updated plumbing stack and electrical panel. 1 car oversized garage with a double wide driveway for extra parking space. Washer and dryer to stay but are as-is. Large fenced yard has patio area that is great for entertaining and a shed. Some thermal windows, and low maintenance vinyl siding, Hardwood floors in all 3 bedroom, and living room. Don't miss your chance to own this beautiful home. McDonnell Blvd to Lindsay Lane to north on Manor to left on Boulder.